Chloe Slater got in touch to tell us why she uses Advance Concentrate Complete and Cooked Linseed. And also included a before and after Equimins image of her young horse. 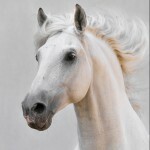 We’ve had the grey horse, who’s now 5, for a year. 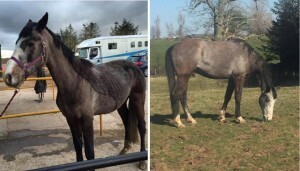 We struggled to get him to fill out so we looked into using Advance Concentrate Complete, and it’s just helped him so much – he’s looking amazing now and a lot happier in himself. My other horse is currently jumping at 1.40+ and starting international competition, but we always thought he lacked something. He was always in at the hip bone and almost looked like he had worms (which he didn’t). I fed him on Advance Concentrate Complete and he just looks amazing! He is concentrating more and much happier in his work. They are both also fed on the Garlic Powder and Cooked Linseed. I really have noticed a massive difference in both of them, I’m going to start using one of the joint supplements and there a couple of other things I’d like to try with them. Thanks Chloe – we really appreciate your feedback!